Posted in: ATP. Tagged: 2014, atp, delray beach, ernests gulbis, marin cilic, marseille, open 13, rafael nadal, recap, Rio. Marin Cilic has gone on an amazing run of dropping only 3 sets of tennis in 3 straight weeks of play where he won the title in Zagreb, reached the final in Rotterdam, and now won the title in Delray, 7-6 6-7 6-4 over Kevin Anderson in a match that lasted over 3 hours. Cilic has been a man on a mission this year and his iron man globe-trotting performance has been beyond commendable. In the final, he was broken serving for the match 7-6 5-3 up. Anderson would later save 4 match points in the second set tiebreak, but Cilic would get another break he needed in the third set to put the match away. With the win, he returns to the top 25 in the rankings, but he’s playing like a top 10 player right now. The path to the final for Cilic, on which he didn’t drop a set, were easy wins over Benjamin Becker and Ryan Harrison, then a blowout win over Teymuraz Gabashvili and a routine win over John Isner. For Anderson, it was a 3 set win over Tim Smyczek, a retirement against Ivo Karlovic, a 3 set win over Marinko Matosevic and a straight set win over surprise semifinalist Steve Johnson, a qualifier playing in his first career ATP semifinal. The Bryan brothers defeated Frantisek Cermak/Mikhail Elgin in the doubles final, claiming their first title of the 2014 season. As expected, Rafael Nadal won the inaugural Rio Open title and dropped just 1 set all week, as he beat Alex Dolgopolov in the final 6-3 7-6. Nadal destroyed Daniel Gimeno-Traver, Albert Montanes and Joao Sousa in his first three matches and then was pushed to the brink against Pablo Andujar, winning in a third set tiebreak 12-10, coming back from a set down in the process. Dolgopolov, a surprise finalist who found form out of nowhere even though he certainly has the talent, beat Nicolas Almagro from a set down in 3 sets, did the same against Facundo Bagnis in a very tight match, and then followed that up by rolling over the empty tank Fabio Fognini, whose winning ways this month finally petered out in the quarterfinals. Lastly, he came up big to upset David Ferrer 4 and 4. Juan Sebastian Cabal and Robert Farah are the doubles champions as they beat David Marrero and Brazilian Marcelo Melo in the doubles final. Ernests Gulbis improved to 5-0 in career ATP finals as the Latvian won a mild upset against Jo-Wilfried Tsonga 7-6 6-4, denying Tsonga a third career Open 13 title. Ernie won one of the best matches of the week first up against rival Roberto Bautista Agut in 3 sets and then beat Nicolas Mahut and Richard Gasquet on home soil to reach the final. He called himself the “master of getting nervous” in a post-match interview, but he didn’t seem that nervous this week. Tsonga beat Nikolay Davydenko in 2 tiebreaks, then needed 3 sets against Edouard Roger-Vasselin and a straight set victory over JL Struff, as the rising German made his first career ATP semifinal this week. 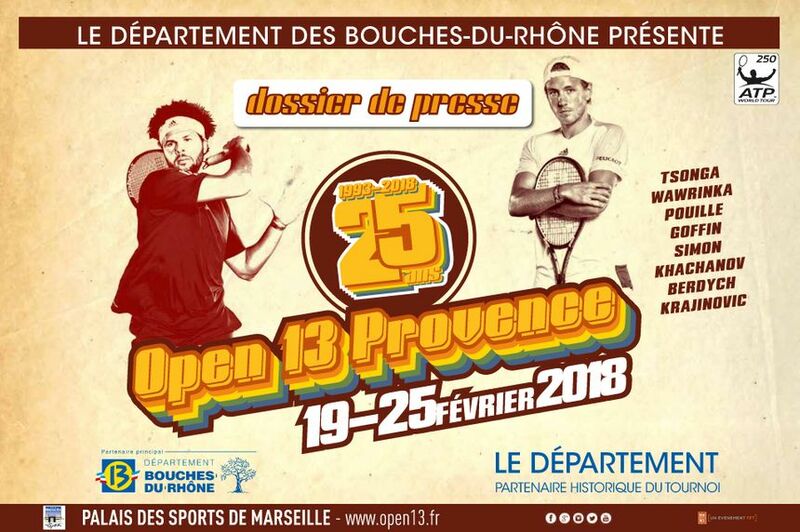 The French team of Julian Benneteau and Edouard Roger-Vasselin won the doubles title against Paul Hanley/Jonathan Marray.